Rosh Closed Beta Starts Now! Ignited Games is firing up with Rosh Online: The Return of Karos, a free-to-play MMORPG that features stunning graphics and fast-paced combat action. In the game, players take the role of a hero determined to break the curse of darkness falling over the world of Asmara and ascend to ultimate glory by becoming the mythical Karos warrior. Adventurous gamers interested in playing Rosh Online can sign up to participate at the game’s official site! WindSlayer 2 fans can now gather their friends and take on the entire kingdom of Beuritania, as Ignited Games introduces Team Match, the first player versus player (PvP) mode, to its fast paced, 2D massively multiplayer online role-playing game (MMORPG). Also included in WindSlayer 2’s first major update are refinements to the game’s user interface (UI) and a massive batch of new content for the item shop. Interested players can enjoy intense team matches by signing up and downloading the game for free at its official site. The updated UI features a simplified menu system and options for increasing the maximum screen resolution to 1024 by 768 pixels, allowing players to more fully enjoy the beautifully rendered 2D gameplay. Updates to WindSlayer 2’s item shop introduce 52 additional in-game items to help players customize their characters. WindSlayer 2 is a 2D, side-scrolling MMORPG that provides players with a choice of six upgradeable character classes in a fast-paced journey through the beautiful, fairytale-like world of Beuritania. Players travelling the vast reaches of Beuritania can find rare treasures and gain experience by defeating swarms of otherworldly monsters through a combination of deadly swordplay skills, explosive magic spells and agile defensive maneuvers. Online gamers can now explore the world of WindSlayer 2 and fight against each other in Team Match PvP mode by visiting the game's website: http://ws2.ignitedgames.com/. For the latest updates on WindSlayer 2, fans can "Like" the game on Facebook at http://www.facebook.com/WindSlayer2. Today I’ll be making another entry in the developer’s diary of WindSlayer 2. I will be discussing one of the more entertaining and rewarding aspects that bring people together… Events! There are several categories of events that you will encounter in WindSlayer 2. These are Scripted Events and GM (Game Master) Events. All these events are posted on our website beforehand to give enough time for as many people to attend as possible. Let us take a look at the differences to see which (if not all) you would be interested in taking part in. The first type of event I’ll talk about is Scripted Events. This type of event is usually run through the holidays or when new content is being introduced. Typically the events can be found by visiting Eventia, the Event Announcer or Nocolas, who are both located in each of the major cities. These events usually have rewards that are quite collectible and rare since they are only available during the event time period. You might even encounter never before seen enemies that will test the endurance and strength of you and your friends. You might also encounter hordes of monsters invading a town or certain location. This type of event is run by a GM and is usually done to entertain players and assist with gaining experience (or losing some with death *evil grin*). The types of monsters can range from giant frogs to an army of evil bunnies pent on taking over Ozi Village to an outbreak of demented robots. The launch of Open Beta also brought forth a truly powerful and evilbeing known as the Minotauron who laid waste to many Slayers before it was ultimately defeated. There are also events that focus on speed or knowledge and not just obliterating monsters. During a Hide N’ Seek event make sure to pay close attention to the server announcements which will provide you with clues on the location of GMs. If you find them, you will be well rewarded. You truly never know what is going to happen with our dedicated team of GMs on the prowl. This is just a quick summarization of some of the events that are held regularly in WindSlayer 2. There are quite a bit more, but we’d like you to join us and partake in them yourself! You can find more information on our website and also on our Facebook page about upcoming events and more! We've already heard about WindSlayer 2's economy, ranged classes, and melee classes, not to mention an overview of the game proper. Today it's all about the brutal, cutthroat element of PvP combat. Hit the jump to read our exclusive dev diary on the subject! The team is working hard to bring the best possible PvP experience to WindSlayer 2. While not all of these modes will be available by launch, we will release patches to add PvP features in the weeks that follow. After honing your skills on the ape army, demolishing renegade robots, and even eradicating the rat problem, you still thirst for blood. We all have some pent up aggression that needs to be released and what better way of doing that than challenging a fellow (or enemy) Slayer to a duel? A great way to put your mettle to the test, the PvP action in WindSlayer 2 is a heart pounding experience that will make you a regular in the Arena. At the Arena, which can be found in each major in-game city and is run by a war veteran named Yuppo, you can sign up for different battle modes such as Team Match, Death Match, Capture the Flag and King of the Hill. Each mode has its own objective, but they all involve pummeling your opponent(s). You can duel one person or even form a guild battle to see who reigns supreme. As you win battles, your PvP rating grows, gaining you notoriety and exclusive prizes. Victory brings great rewards to those that show a talent in warfare. Participating in official tournaments also brings special rewards that cannot be earned elsewhere. These will be held regularly, allowing fresh blood and veterans alike to engage in friendly competition that is sponsored by the Game Masters. We have some great ideas to make these events memorable so make sure to sign up when they are available. We know that PvP is an essential part of WindSlayer 2, and we are devoted to making it the best we can. You never know, you might even get a chance to challenge a GM to a skirmish! Who wouldn't want to battle the gods? Vampire fans and online gamers, beware. Ignited Games is bringing back DarkEden, the world’s first massively multiplayer online vampire role-playing game (MMO V RPG). Dark Eden’s closed beta test (CBT) is now live and aspiring vampires and vampire hunters can sign up for the chance to participate by visiting the game’s official site. To kick off the launch of Dark Eden’s CBT, Ignited Games is rewarding its loyal closed beta testers with special in-game items throughout the CBT period. Furthermore, players who report in-game bugs on the forum will earn additional rewards. DarkEden is a throwback to the golden age of MMORPGs, featuring classic hack-and-slash action and isometric 2D visuals. Set in the fictional eastern European country of Eslania, players choose between three available races, including vicious Vampires, human Slayers and beastly Ousters, and battle for control of Eslania. Each race has distinctive gameplay mechanics and methods for character progression, such as the Vampire’s need to drink blood to gain experience points. Online gamers can now choose their side and join the fight between the living and undead in DarkEden by visiting the game’s website at http://dk.ignitedgames.com.  For the latest updates on DarkEden, and to be eligible for a variety of prizes and giveaways hosted by the game’s managers, fans also can “Like” the game on Facebook at http://www.facebook.com/PlayDarkEden. WindSlayer 2 Slashes into Commercial Launch! Calling all online mages and warriors: The world of WindSlayer 2 is officially open to explore and conquer. Ignited Games' 2D, side-scrolling, multi-player, online role-playing game (RPG) is live and ready for action. Fans of online fantasy free-to-play games can sign up now to play WindSlayer 2 at the game's official site. "The detailed visuals, fast-paced action and community features in WindSlayer 2 really raise the bar for 2D side-scrolling online RPGs," said Peter Kang, CEO of Ignited Games. "Fans will find classic arcade-style gameplay with a unique art style that immerses players in the beautiful, fairytale-like world of Beuritania." The game puts players on a journey in Beuritania to defeat hordes of monsters using acquirable skills, magic spells and items. Building on its predecessor, WindSlayer 2 features updated gameplay and in-game systems such as the pet and mentor systems that add re-playability. The commercial launch will include the in-game Playground, which includes community features that connect WindSlayer 2 fans. Players can invite friends and guild members into private rooms for in-game socializing and community building. There also are multiple room scenarios to choose from, allowing players to party with a plan. Furthermore, players who open a new WindSlayer 2 fansite, or run an existing one, can email their site's URL to WS2community@ignitedgames.com by Wednesday, Nov. 30 with "Fansite" in the subject line for a chance to win iCash, in-game currency for all of Ignited's games. Based on design, functionality and overall creativity, Ignited Games will choose the top three sites and award 10,000, 5,000 and 2,500 iCash to the first, second and third place winners, respectively. Also, the three winning sites will be featured on the WindSlayer 2 website. Online gamers can now cast spells and clash swords as they fight foes and lay claim to rare treasures in WindSlayer 2 by visiting the game's website at http://ws2.ignitedgames.com/. For the latest updates on WindSlayer 2, fans can "Like" the game on Facebook at http://www.facebook.com/WindSlayer2. Open Beta: Grand Opening Celebration! Ignited Games would like to take a moment to extend our immense gratitude to all our magnificent WindSlayer 2 players and fans. *WindSlayer 2 Official Website (click here)! *WindSlayer 2 Facebook (click here)! We are very happy to see the excitement and dedication towards WindSlayer 2. While it has been a thrilling journey through Alpha and Closed Beta, the moment you’ve all been waiting for is finally here with WindSlayer 2 Open Beta! We've had a number of dev diaries in the past month, covering everything from melee classes to ranged combat to the game's economy. Now you can try it all out for yourself. The game has just entered open beta, and to celebrate the occasion, we are holding a number of events through which players can rake in all kinds of nifty loot. So come forth Slayers and step into the world of WindSlayer 2! It is my pleasure to bring to you the next entry in the developer's diary of WindSlayer 2. Today, I'll be discussing the economics of WindSlayer 2. This may sound a little vague, but the main points I'll cover are the Gathering, Mining, Crafting, Enchanting and Enhancing skills, as well as the Flea Market. Throughout your journeys in Beuritania, your equipment and supplies are bound to see some wear and tear, and eventually wear out or get replaced. In times like these, having the skills to create new items or enhance existing ones are essential. Not only will you have a greater advantage over your foes, but you also can sell your spare items in the Flea Market to prospective buyers. Gathering is an essential part in crafting because you must first have the materials to be able to create or upgrade an item. The gathering skill is taught by Zohabriner, the Crafting Master, who can be found in the Item Research Lab in every major city. Be sure to purchase a fair amount of shovels too, as they are required to begin the gathering. Mining works the same as gathering except you need pickaxes to retrieve ore from the Quarry. Once you have the necessary skills and equipment, you will be ready to enter the Collection Area or the Quarry and begin collecting materials for your craft. Throughout your travels, your equipment will suffer wear and tear and eventually you will run out of potions and food. This is when the production skills will come in handy. Zohabriner will gladly teach you each of the skills once you have done him a favor or two. Crafting allows you to create health and mana potions, as well as the materials for Enhancing. Enchanting allows you to make your equipment much more powerful by adding attributes to your items with certain materials. Enhancing lets you reinforce equipment and create powerful weapons. I do not want to go into too much detail as I believe players should explore these options themselves – it will be worthwhile. After adventuring for some time, you will eventually return to town to sell your wares, but not all the merchants will pay top gold for them. This is where the Flea Market comes into play. Here, you can set up a personal shop to advertise and market your wares. The Flea Market is easily accessible from any city, so arranging a business transaction is always in reach. This is easily the best place to search for and sell items in Beuritania. Now that we've gone over the basics of WindSlayer 2, the melee and ranged classes, and even the economics, the next subject matter is something that everyone is talking about....Player vs. Player (PvP) combat! Learn about the different modes, rewards and more in the next Developer's Diary.